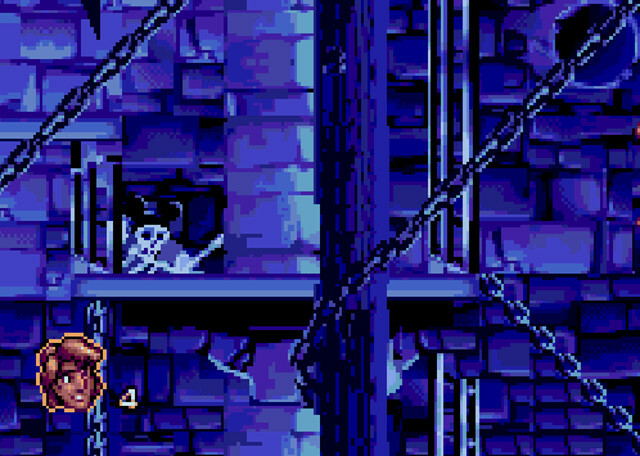 Licensed video games have been hit or miss for pretty much the entire history of gaming. However, in the early- to mid-1990s, Disney’s properties were making the transition to the gaming world unbelievably well. DuckTales for the NES perhaps led the charge in 1989 in the hands of Capcom, who created a very memorable game with some of the best music of its era. 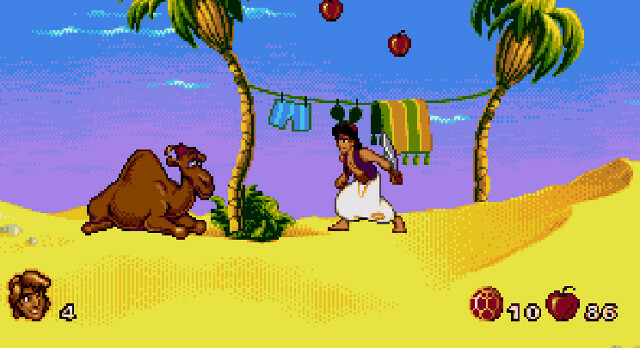 Virgin Interactive Entertainment would collaborate with Disney for a while, creating the Holy Trinity of Disney games for the Genesis: Disney’s Aladdin, Walt Disney’s The Jungle Book, and The Lion King. (Virgin would also develop more forgettable titles like Disney’s Pinocchio.) 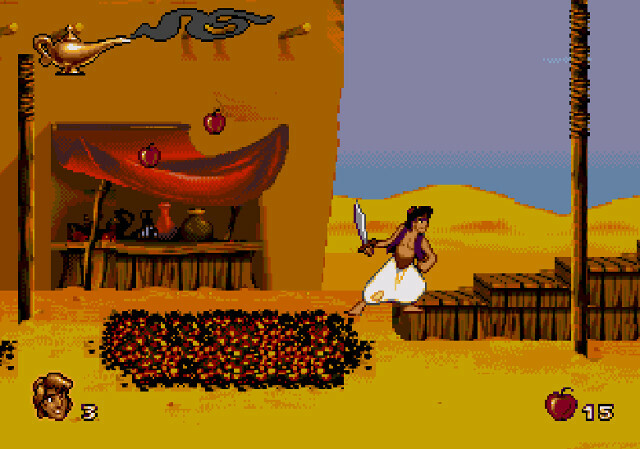 Of these games, Aladdin is probably the best. 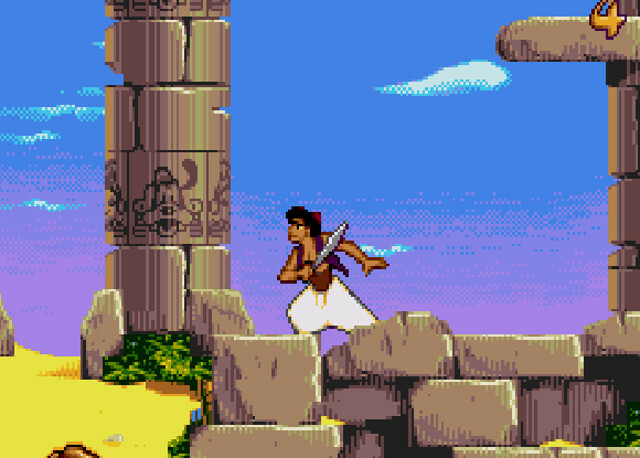 I’ve gone back to Disney’s Aladdin (the Genesis version) several times since its release in 1993, and, every single time, I am surprised at how well it continues to hold up over the years. It sounded great too, with 16-bit versions of songs from the film mixed in with original pieces by Donald Griffin and the incredibly talented Tommy Tallarico. However, I’ve never found it all that difficult. The first time I played it, I was a little disappointed at how far I was able to get on my first try. I even used to attempt no-damage runs as a kid, and I could get pretty far through it without taking a single hit. A lot of that muscle memory has stuck with me over the years. Recently, a friend and I saw the game at a local pub and I picked it up and soared through the first section with relative ease before the atmosphere started getting rowdy and we decided to leave. 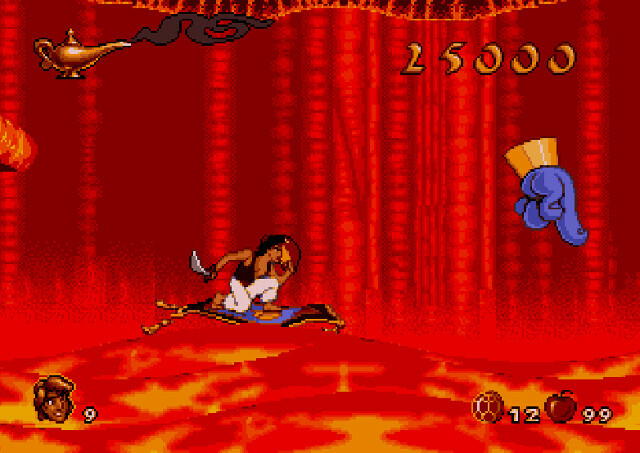 Whether you think Disney’s Aladdin is a cakewalk or a frustrating, controller-breaking madhouse of difficulty, it’s hard to deny just how well-designed it is. 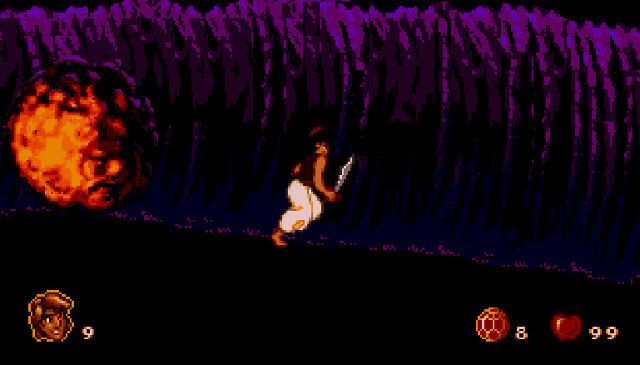 Even decades later, it retains a good portion of its charm — a feat that’s practically magic, especially for a licensed Disney game from 1993.